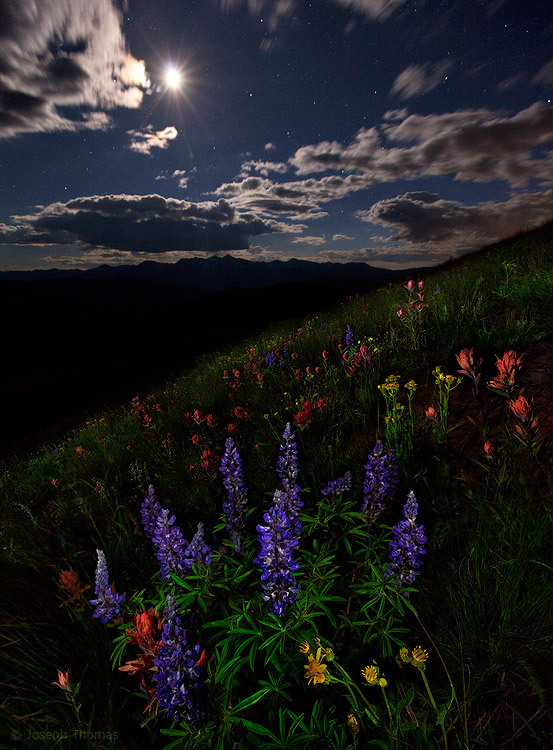 Wildflowers bloom beneath the midnight heavens. I found this riot of color on a mountainside in Colorado's Gore Range. In homage to her worth.